JedRothwell Buffet both didn't understand and didn't like Bitcoin. Again, you myabe confusing particluar implementation of block chain i.e. Bitcoin with general concept of it. There are no known instances of the block chain bien hacked. Only exchanges were and they ate totally different from the block chain itself. All cryptos not bound to something are a commodity. It takes certain resources and a lot of it to generate Bitcoin chain hash and that makes it pretty much similar to gold. If you spend same amount of electricity to power the gold mining machine you will end up with certain amount of gold. People assumed certain value for gold and keep it as a value storage. The moment gold is used only for jewelry or industrial the price will most likely go down a lot. Bitcoin supporters have a valid point that any fiat currency with no more that the paper it is printed on. 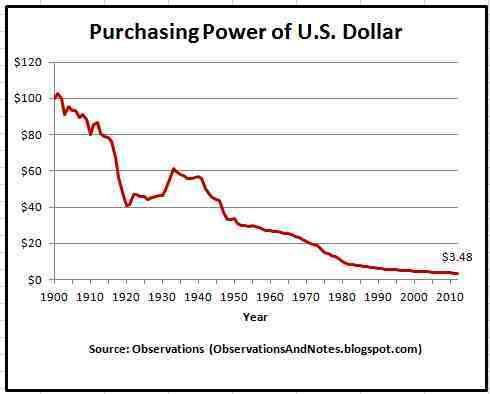 It is just that US dollar gained more trust over years than any other value storage. I personally is not a big fan of it. The moment same reporting standards applied to Bitcoin as to a dollar transactions its value will have to plummet. That is not to say that you can not use block chain tech at all. The ledger, once created, provide absolute proof of what is recorded in it be that property title transfers or stock issue without the need for a single authority. That opens many possibilities to streamline some existing processes. Max Nozin, I am sorry to see you still advocating here on behalf of crypto currency, (blockchain could potentially be a different situation). Currencies of sovereign nations, as we know, have problems enough and can only be a strong as the "full faith and credit" of such a national entity. Cryptocurrencies have not even that to back them. They will be completely susceptible to market manias and even more so than say "tulip mania", which at least had an entry cost.... that is some tulip breed or another was being bid up to unsustainable levels. Cryptocurrencies, in other words, have all the defects of any currency and even more, since there is no underlying value, no backing asset, no "faith and credit", no 5000 year tradition of desirability as an asset such as gold... which still costs quite a lot to mine and hence "create" as a currency. No restraints on cryptocurrencies, in spite of the argument "out of nothing" you seem to propose. Public gullibility is the only restraint. Bitcoin supporters do NOT "have a valid point". This is completely self-serving blather designed to "pump" the market. We only need to wait for the "dump" phase. Some aspects of blockchain as ledger technology may well turn out to have value to nation states, banks or international markets, but only after extensive development. Cryptography progress is always just a few of steps ahead of computational power and/or decryption algorithms-- it has always been and likely always will be... look at the history of cryptography and its important influence on the outcome of wars. I had not looked at this thread as it sounded like i would be babble. Anyone who thinks am investor would be guided by it, or even see it. has to be out of their mind. I like to think LF has become the place to go to find out what is happening, may happen, or has happened in LENR/CF. We do have some of the movers and shakers here after all. Lots of great threads for the science part and the gossip also. So it seems logical to me then, that investors would want to check in here as part of their due diligence first, before laying down their money. Thank you for the alternative view though. Now go back to the Rossi thread, and stay there! I am saying it is just wrong to dismiss something right away. What kind of assets are backing US dollar? The government debt is what 10T or something? It is just the rule software the game that suit everyone what makes dollar a dollar. Max Nozin Agreed that the US dollar is over rated. But that is evidently not the consensus, which the foreign exchange markets surprisingly and continuously tell us that somehow US dollar is one of the few strongest currencies in the world today. Of course there are specific ad hoc arguments as to why the US dollar appears so strong. I personally believe it is essentially a passing phase and that the US dollar will eventually collapse (or be devalued) to reflect (as you point out) the immense debt the US has continued to accumulate. Forgetting the Bitcoin/Blockchain argument for the moment, how do you feel about Deneum? As a Russian, I count on you, and Gennadiy to give us in the west your honest opinions on matters there. BTW, Gennadiy has been trying to post for days to comment on this thread, but he can not get through due technical difficulties. Barty and AlainCo are working on it, but so far no luck. Shane D. In the case with Deneum I can only hope that my Ukrainian BS sensor is somehow better than your. They keep all communication in English and I see it as a good sign of them being at least not completely consumed by new cold war wave. If Tsvetkov indeed visited iccf there should be people here who might meet him in person. I hope that Gennadiy have access to some 10yo guy to assist him. At this stage it is either all or nothing when you deal with computers. Shane D. I can take it over from Alain for a couple of days. Bitcoins accounts have been hacked, and hundreds of millions of dollars worth of bitcoins have been stolen. $500 million from Mt. Gax, and more than $500 million from another Japanese dealer. I do not know how the hackers do it, or whether you are right about block chains, but it is obvious that bitcoin is a terribly risky way to keep money. I used to work with financial systems at a big company, writing user manuals for the equipment. If we had been responsible for losses on this scale, the customers would have sued and we would have been driven out of business in no time. What kind of assets are backing US dollar? The government debt is what 10T or something? 1. The U.S. government is committed to policies that will avoid disastrous inflation. Short of a full scale war, there is no chance money will suddenly inflate away. 2. It is not the government so much as the computers at the banks, credit card companies, automated purchasing, Amazon and other money transfer systems that are well protected. Credit card fraud is the worst of these. Fraud is widespread, but it will be greatly reduced by the new cards with chips in them. The other systems I listed are extremely well protected compared to Bitcoin deposits. First-world governments enforce rigorous standards, but it is the banks that implement them. Japanese gangsters have stolen more than $1 billion from Bitcoin accounts. I'll bet they have not stolen a single yen from conventional banks using similar hacking techniques. They steal huge amounts, but not by hacking. Fraud in things like Medicare filing is a gigantic problem. Certain politicians refuse to grant funding to hire enough people or implement effective reforms that will reduce it, even though this funding will more than pay for itself. I suspect these people might be on the take. Don't know about = Not having a clue about. I think. Not more different from the way they hack data, personal data, passwords hash, in corporate networks, or your bank account password. Some hardware like Ledger can help avoid that, but they can steal the paper backup too, or menace you. the advantage of banks is that they mostly can get back your money by "stealing" it to the destination with the force of law, or reimburse you (not always, especially when money goes abroad). The main purpose of cryptocurrencies is to avoid that "stealing" by law. some corporate crypto like Ripple have official protocol to get back money when disagreeing. Good luck to those suckers, and sorry for anyone believing that. The way banks operate today would give little confidence that any such scheme is other than some programmer's idea of how to sell "security" by incidentally opening up a whole new set of vulnerabilities-- whether by intention or otherwise. So JedRothwell and Longview are you saying that banking system is imprevious to hacking? Weekly leaks of customer data here and there not happening? Crypto industry is in nanscent stage right now and many inexperienced devs are developing soft in a rush and on the budget. Since that all want to get into the game asap. When the same amount of efforts as banks invested in security is spent by crypto exchanges it may become as secure. All this of course is irrelevant to this thread. I was trying to say that there is no need to stigmatize Deneum for choosing ICO as a way to attract investement. I only wish they would offer a share in the company instead of commodity linked ICO but this has to be done to avoid potential issues with stock market regulators. Talking the crypto language, when US government or a bank disagree with a transfer they just do a hardfork, and every miner who disagree is under sanction. Unless you are Iranian, or Total, this looks safer than "code is the law". are you saying that banking system is imprevious to hacking? Are you reading carefully? Quite the contrary. As you know even the Federal Reserve Bank of US has been hacked, at least once. The "take" was about 80 million $, although they were reportedly going for a billion. I have little confidence in any scheme to avoid hacking. That is why I drew our attention to the race between cryptography and code breaking. It has been going on since at least the Peloponnesian war, and certainly is ever present today. Longview what is the point in assigning greater risk associated with cryptography hacking onto crypto ecosystem alone. If cryptography is compromised in any way it will equally aftect entire financial sector not just crypto. Gold is a better long term bet. It's only a matter of time before the US loses the dollar as the only reserve currency and them the US real dept will haunt us.